Barcelona finally managed to bag a victory at Old Trafford this Wednesday night, as they beat Manchester United 1-0 in the first leg of the Champions League quarter-final. The sole goal arrived early in the game, after Luke Shaw accidentally deflected a Luis Suarez header into the back of his own net. The Catalan giants did manage to threaten the Red Devils’ goal on a few more occasions, but the home side was more than successful in containing its world-class opposition for a majority of the match. Lionel Messi, in particular, endured an uncharacteristically quiet night. Apart from providing the cross that resulted in the own goal, the Argentinian failed to affect the proceedings, much to Manchester United‘s relief. 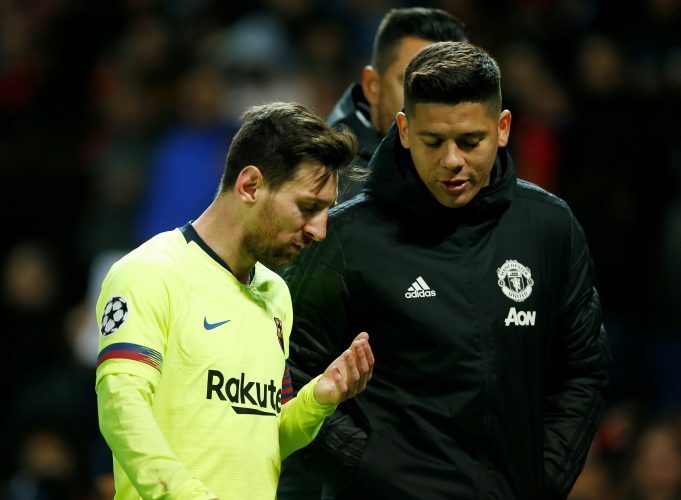 After the game, Reds’ gaffer Ole Gunnar Solskjaer was seen having a word with the Barcelona superstar – an incident that created much debate and speculation on social media. Ole then went on to speak about the 31-year-old in detail, stating: “He’s a fantastic player. We did as well as we could against him. We kept our shape well. It could have gone both ways.